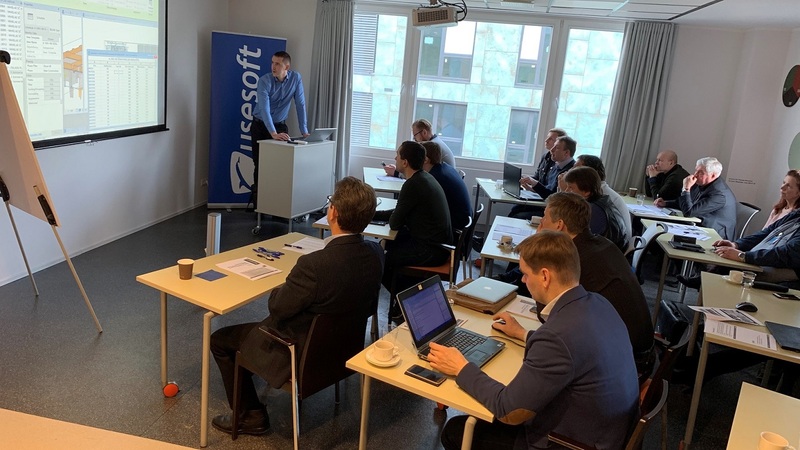 On 21 March a training day within the BIM academy arranged by the provider of business software solutions Usesoft took place. This year’s enhanced programme focused on essential BIM topics from creation of the model to further implementation throughout the building’s life cycle. From February till April there will be seven training days. Mihkel Kaesveld from Novarc spoke in the building structures module. Through practical examplaes the clients and project managers that participated in the training got the idea of modelling the building structures and smart procurement. The training was based on BIM requirements as per EVS 932, RKAS 2018, COBIM 2012 and Novarc’s current practice. Based on discussions and feedback the clients are very interested in quality BIM projects. By involving professionals and implementing recognised terms of reference they are ready to contribute to more detailed information models – the goal being saving of resources within construction process and further operation period. By analysing the costs of potential errors and the marginal price of their resolving in model, the common understanding has been reached to build digitally first.